T&D, a main distributor for Silver Fox, are delighted to announce a major project breakthrough into the utility power industry. Silver Fox, are the global market leading, UK based manufacturer of cable labels. 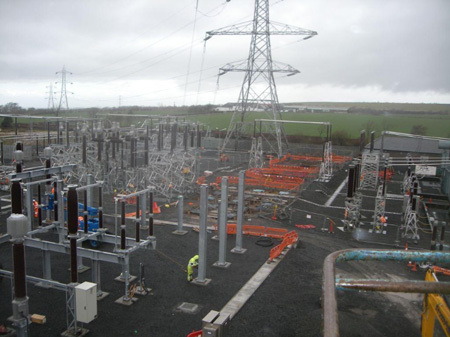 Silver Fox have recently supplied Spanish engineering giant Elimco with their Fox-in-a-Box® thermal cable labelling system for the labelling of power cables in high voltage 275kV substations being constructed at New Cumnock in Ayrshire, Scotland. The project is part of SP Energy Networks, South West Scotland Collector Scheme. As well as the Fox-in-a-Box® system, also procured were a range of cable labels that included the Fox-Flo® Low Smoke, Zero Halogen (LS0H) UV Stable Tie-on Cable Labels and the Legend ™ LNST Non-Shrink tubing. Zero halogen cable labels are extensively specified for the labelling, marking and identification of LSOH (Low Smoke Zero Halogen) cables - this includes plastic low voltage service, mains and 11kV cables. Read more : The Case For Low Smoke Zero Halogen Cable Labels & Public Safety. Zero halogen cable labels are installed by power and utility contractors working on behalf of UK DNO's where significant LSOH cable runs inside substations and buildings require a cable label system which preserves the zero halogen integrity of the cable circuits. Pictured : Substations - Silver Fox cable labels are installed to identify low and high voltage power cables. 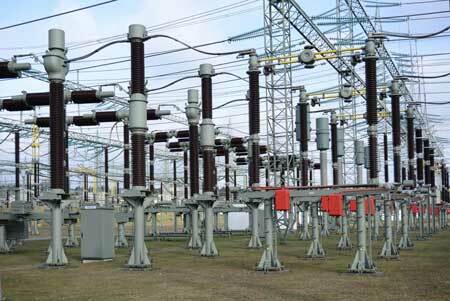 Also control and power cables feeding control and protection panels, systems and distribution boards. The Non-Shrink tubing was vital for Elimco as it eliminated the need for heat shrink as that would require a heat-gun permit or the time-consuming method of using individual ferrules. The ability to "cold-install" cable labels without resort to "hot-working" provides serious electrical safety advantages when labelling cables offshore in potentially explosive atmospheres. Non-shrink cable labels are ideal for Zone 1 and Zone 2 hazardous area cable marking - fast, simple and safe labelling significantly driving down total man hour costs. Also provided to the project were the Silver Fox Legend™ LXL Laser Tie-on labels specifically for the internal sections of the New Cumnock substation. These are simply produced via templates on the Labacus software and printed using a normal office laser printer. Silver Fox have been systematically testing their products to create world leading solutions to save time for the contractor and low maintenance for the client. All Silver Fox thermal solutions can be printed using the Silver Fox Fox-in-a-Box Cable Labelling System – using the same software, same printer and same ribbon. Silver Fox cable labels are specified for both onshore and offshore cable labelling of LV-HV power cables - the cable labels are rigorously tested to ensure high performance in harsh operating conditions. 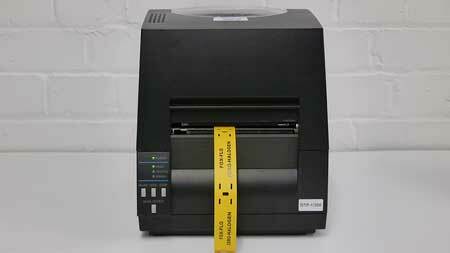 Read more : Silver Fox Cable Labels - Salt Mist Spray Testing For Offshore & Marine Cable Labelling. Silver Fox : A leader in UK manufacturing labelling solutions using a special Plug’N’Play thermal printer or a standard office printer - ensuring fast and efficient identification of cables, wires, optical fibres, panels and equipment - Silver Fox delivers solutions for the Energy, Power, Rail and Data & Telecoms industries worldwide.